Dr. Khorshidian was able to see me with very short notice and offered me an awesome referal to get my wisdomteeth removed. Dr. Khorshidian was able to see me with very short notice and offered me an awesome referal to get my wisdom teeth removed. *Please expect to be contacted via phone or email by this practice, and reply to confirm your appointment. 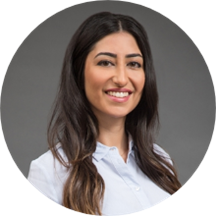 * Dr. Khorshidian is a Denver native and graduate of CU School of Dental Medicine. After spending a few years in private practices around the Denver Metro area, she started with City Center Dental Group this year and is thrilled to get to know the patients of the practice. Her advanced skill-set and local connection has already improved the lives of the many patients of City Center Dental Group. Outside of work, Dr. K loves enjoying time with family and friends.